Conqueror’s 7th Annual Meeting has been an all out success. 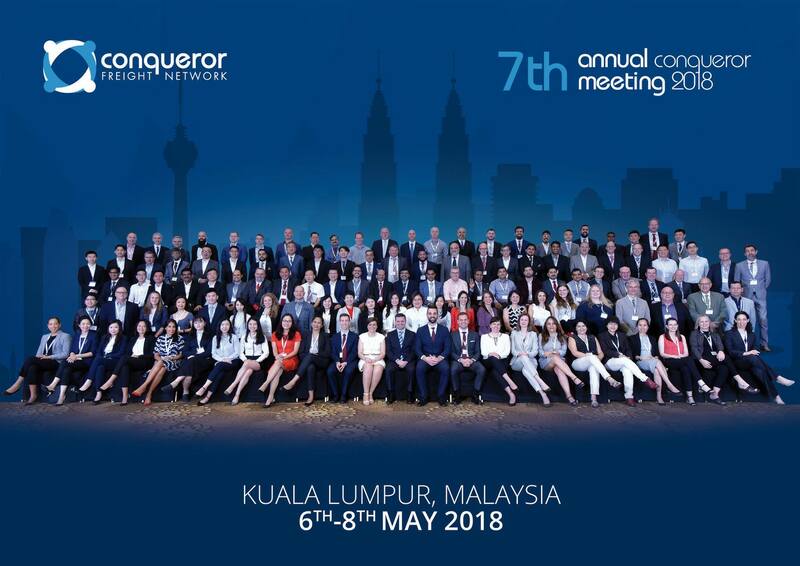 Nearly 130 freight forwarders representing more than 100 cities came together at the Intercontinental Hotel, Kuala Lumpur, where they bolstered their business activities by meeting their fellow Conqueror agents while deliberating on future projects and industry defining issues. The tremendous success of the last six CQR Annual Meetings was one of the major factors leading to the terrific turn-up at the 2018 event. The Annual Meeting highlights included a warm cocktail reception and a merry dinner party which gave the delegates a chance to indulge in some fun and frolick. The meeting obviously provided ample networking opportunities with the scheduled one-to-one meetings of the agents along with the informal business talks held in course of the lunch, dinner and coffee breaks. During the meeting, all the members were given a personal demonstration of Conqueror’s new online tool – the Freight Rate Management Software which enables the members to come up with instant online door to door quotations for their clients and partners. This software is expected to immensely facilitate the business activities of the members. In the words of Antonio Torres, CEO and founder of Conqueror Freight Network, “Conqueror’s Annual Meeting presents a unique networking opportunity for all the members within the network who get to personally interact with their fellow agents with the purpose of keeping a constant flow of new business opportunities. The meeting gives our members a chance to foster a mutually beneficial business relationship by bringing together all the members from various corners of the globe.” With over two decades of experience in the freight forwarding industry, Antonio Torres has an immense contribution towards making Conqueror the largest exclusive network for freight forwarders in the globe. “Getting to know the persons face-to-face and sharing some time with them helps tremendously in building and maintining business relations”. One of the CQR members states.